but seemed like a good day to revisit the street named in his honor. 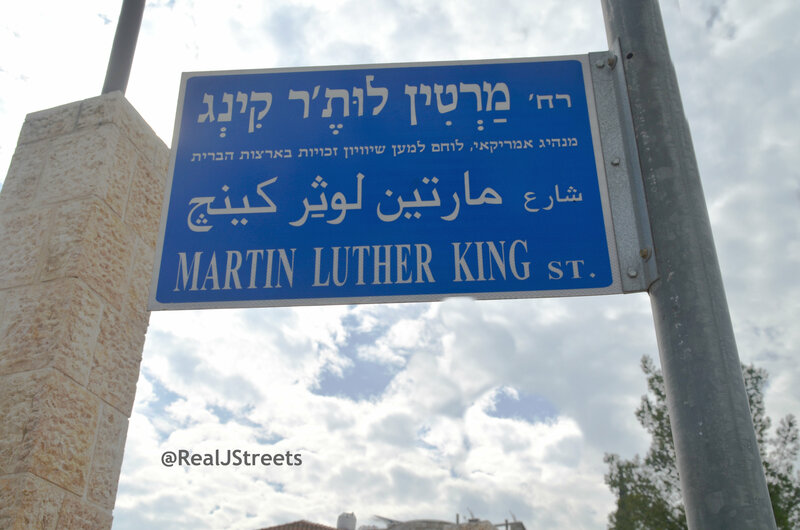 MORE THAN 90% OF AFRICA AMERICANS ARE UNAWARE THAT ISRAEL NAME A STREET AFTER MARTIN LUTHER KING. THERE IS HARDLY NO IMFORMATION ABOUT THIS HISTORICAL FACT. NO VIDEOS ON YOUTUBE, NO HEADLINE ARTICLES, NO PICTURES OF THE SIGN GOING UP, NO DATES WHEN THIS TOOK PLACE. CAN YOU PROVIDE A MORE DETAIL ABOUT THIS STREET. I HAD THE OPPORTUNITY TO WALK ON THIS STREET AND TOOK SOME GREAT PICTURES.